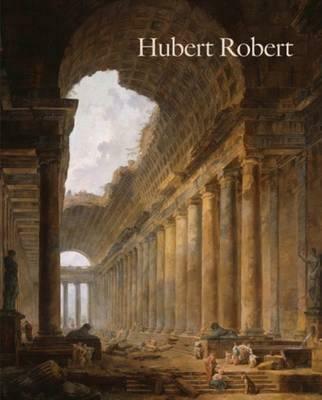 Known fondly as 'Robert des ruines' because of his penchant for painting ancient ruins, Hubert Robert (1733-1808) was one of Franceâ€™s most successful and prominent artists during his lifetime. This outstanding publication, which accompanies the first monographic exhibition of his work, illuminates Robert's remarkable artistic achievements and his lasting contributions to French visual culture. Robert's skills were manifold - he enjoyed great success as a painter, draftsman, interior decorator and garden architect. During his time in Rome, he fostered close professional bonds with artists such as Piranesi, Panini and Fragonard, while in Paris he flourished under the patronage of several wealthy French supporters including the Marquis de Marigny, brother of the famed Madame de Pompadour. Robertâ€™s work later addressed the demise of this glittering society through both ominous scenes of disaster and representations of vandalized royalist monuments. Upon his own release from imprisonment following the French Revolution, Robert completed a series of meditative variations on the Grande Galerie of the MusÃ©e du Louvre, of which he had been appointed curator in 1784. Thoroughly researched, this scholarly and beautifully produced publication will stand as the definitive book on Robert for many years to come.